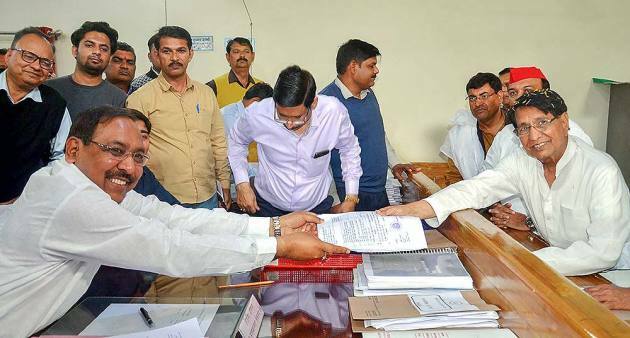 Rashtriya Lok Dal (RLD) President Ajit Singh files his nomination papers ahead of the Lok Sabha elections, in Muzaffarnagar. 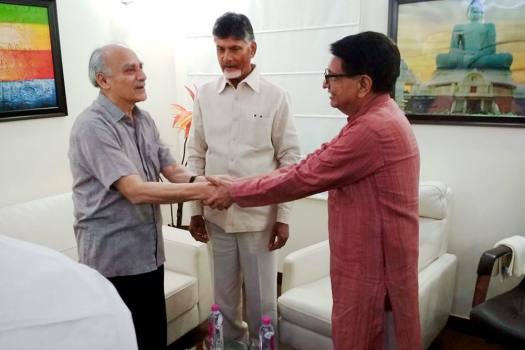 Andhra Pradesh Chief Minister Chandrababu Naidu, RLD chief Ch Ajit Singh and former minister Arun Shourie at a meeting in New Delhi. 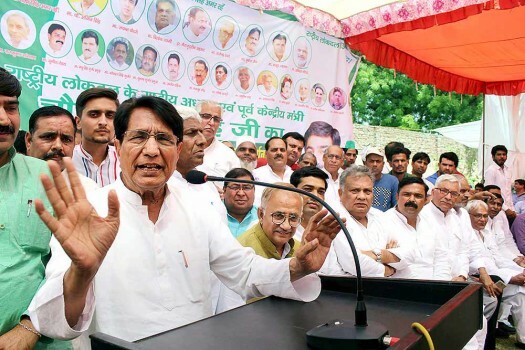 RLD chief Ajit Singh addresses a programme in Meerut. 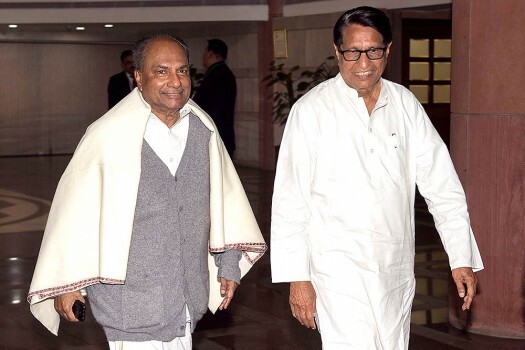 Former defence minister AK Antony and Rashtriya Lok Dal chief Ajit Singh arrive for an all opposition parties meeting in New Delhi. 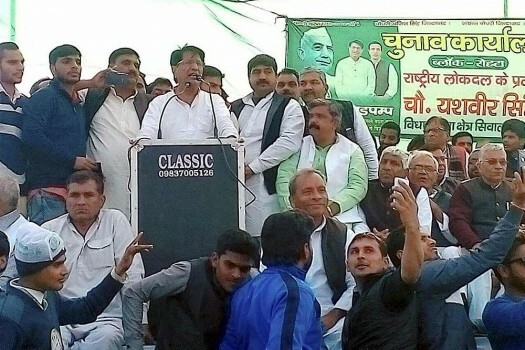 RLD chief Ch Ajit Singh addresses an election rally, in Meerut. 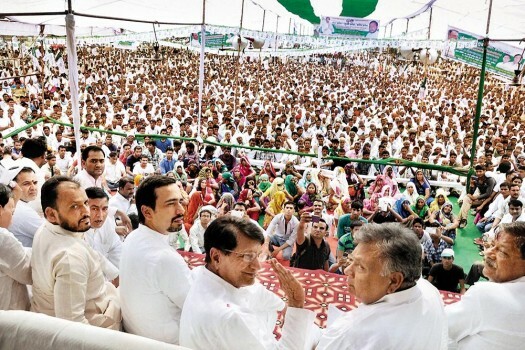 Rashtriya Lokdal President Chaudhary Ajit Singh, party secetary Jayant Chaudhary and JD(U) President Sharad Yadav at "Kisan Adhikaar Rally" in Baldev near Mathura. 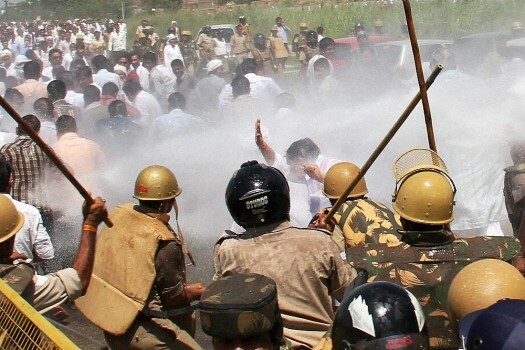 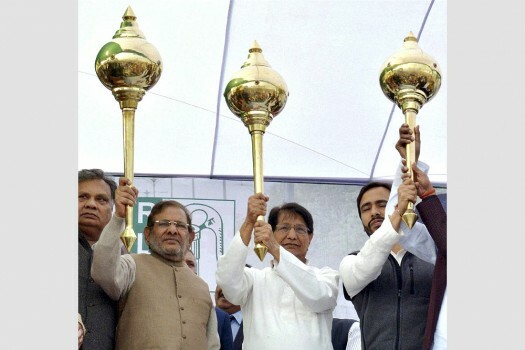 Rashtriya Lokdal President Chaudhary Ajit Singh, party secretary Jayant Chaudhary and JD(U) President Sharad Yadav holding maces at "Kisan Adhikaar Rally" in Baldev near Mathura. 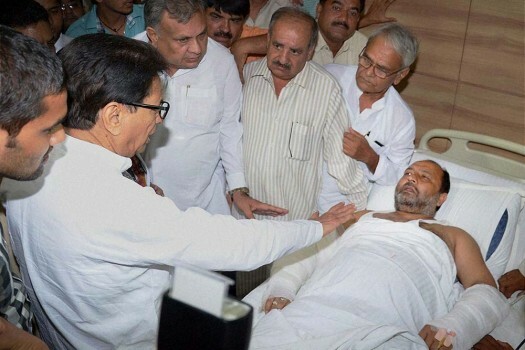 RLD chief Ajit Singh visiting a supporter injured during a clash with the police at a hospital in Ghaziabad. 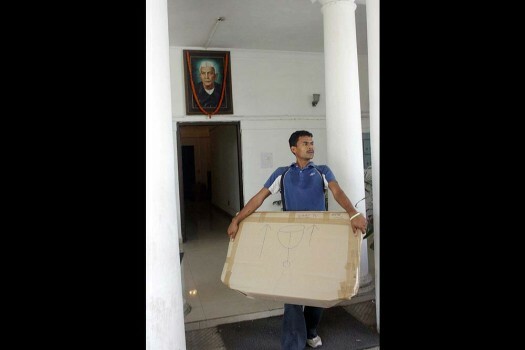 The bungalow occupied by RLD chief and former cabinet minister Ajit Singh at Tughlak Road being vacated in New Delhi. 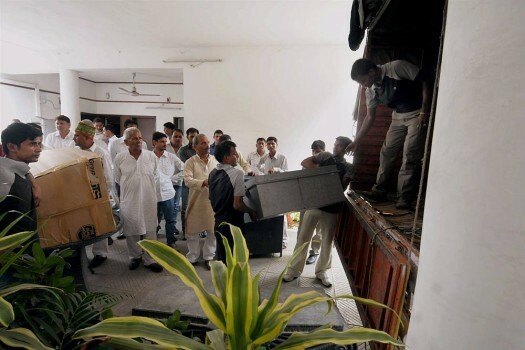 RLD workers and labourers loading packages in a truck as former Civil Aviation minister and party leader Ajit Singh vacates his government accommodation in New Delhi. 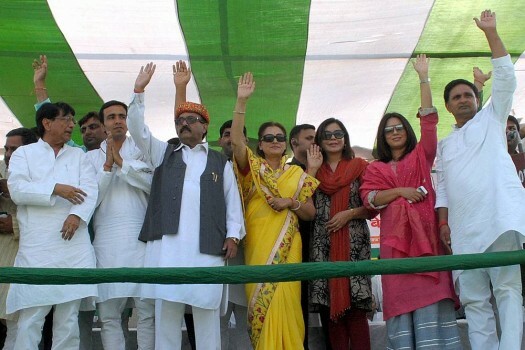 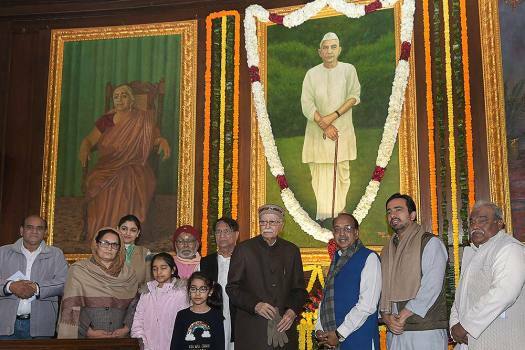 RLD President, Ajit Singh with the party's Fatehpur Sikri, candidate Amar Singh along with film stars Jaya Prada, Zeenat Amaan and Mahima Chaudhry during an election rally in Agra. 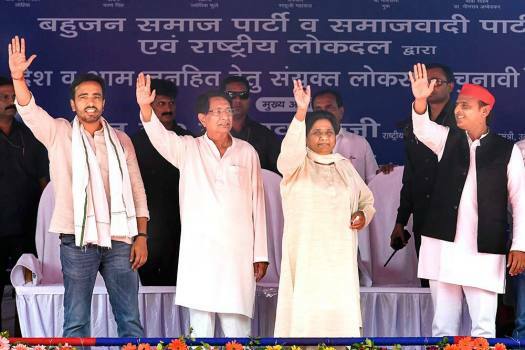 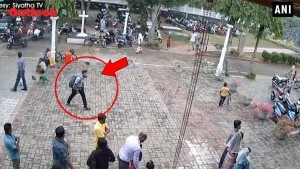 Lok Sabha elections 2019: BJP has fielded Union minister Smriti Irani against Congress president Rahul Gandhi in Amethi. 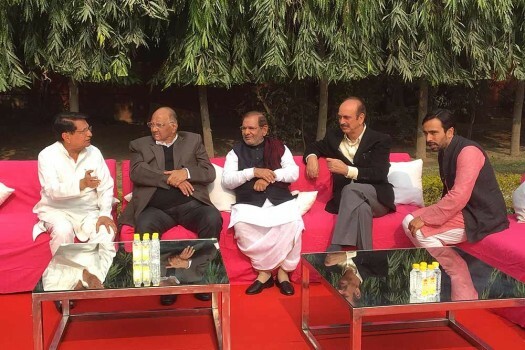 For now, the deal is between two parties. 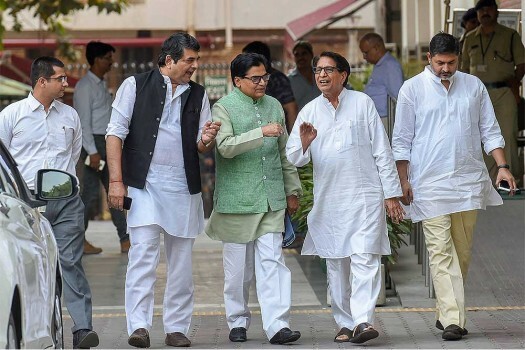 The spirit of accord, though, may widen. 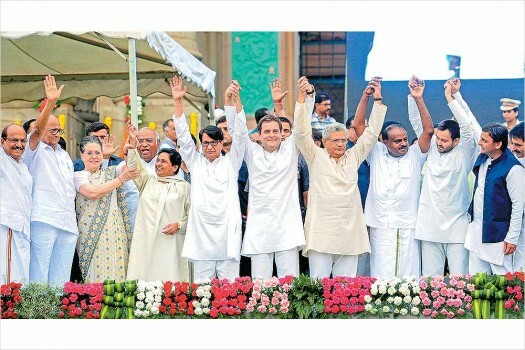 The polarisation is complete. 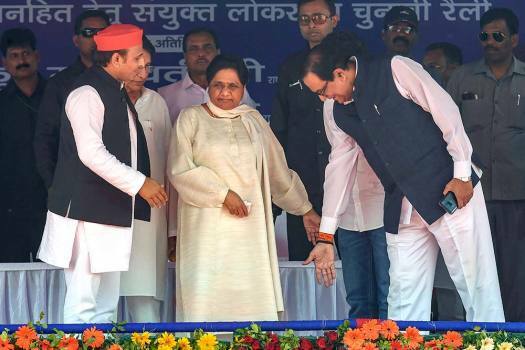 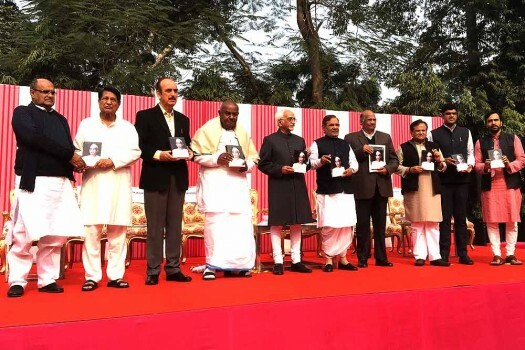 Modi and BJP’s chances have never looked better.